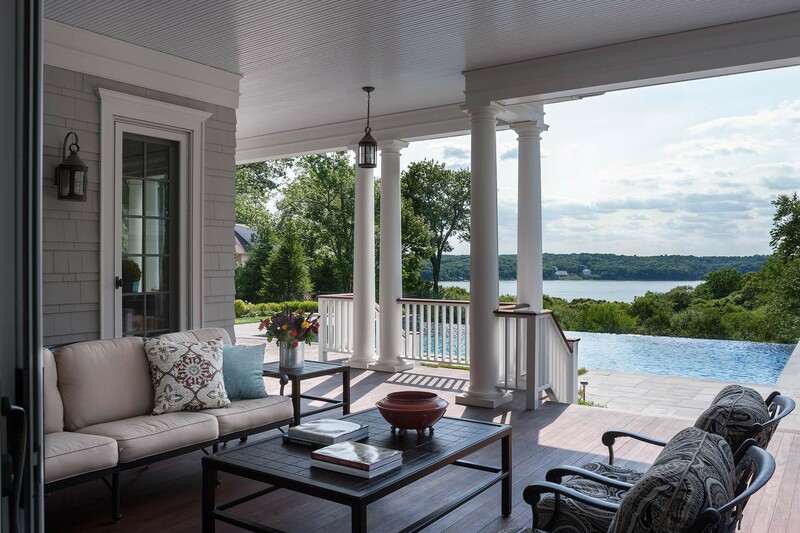 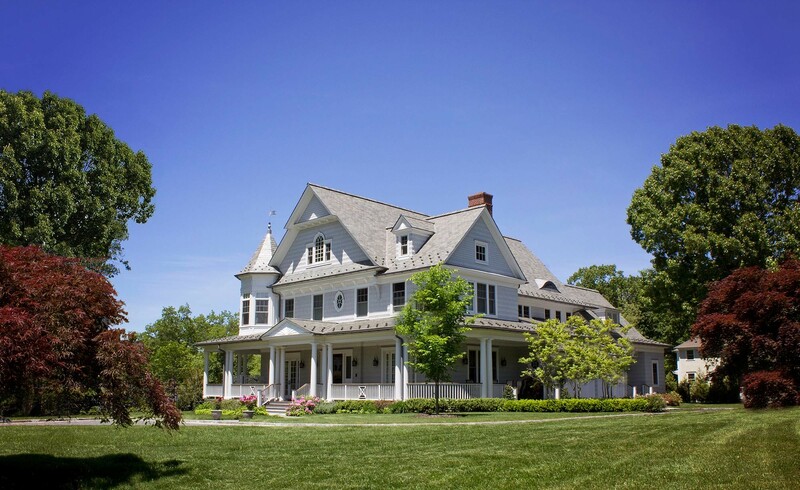 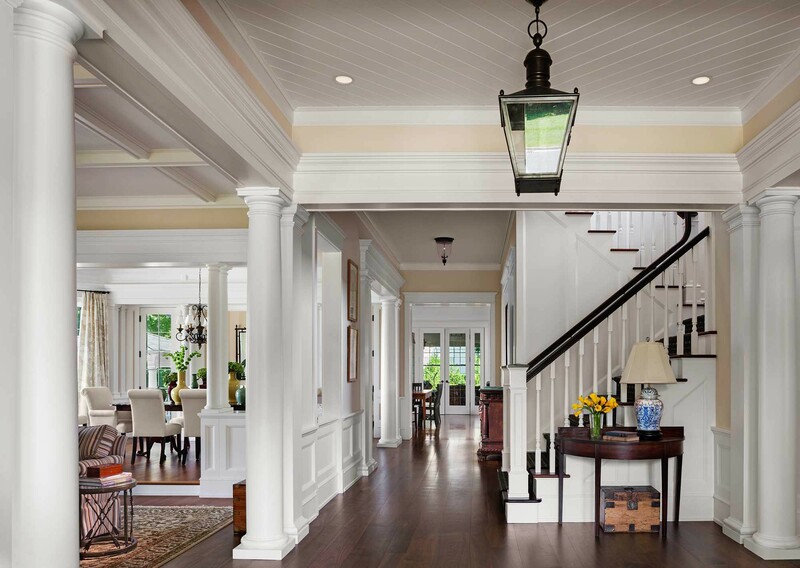 We designed this classic Queen Anne Revival on a bluff overlooking Oyster Bay. 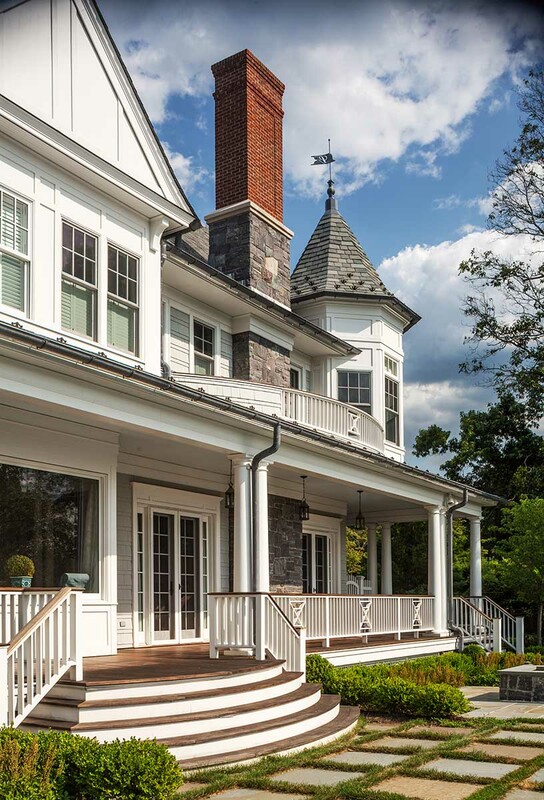 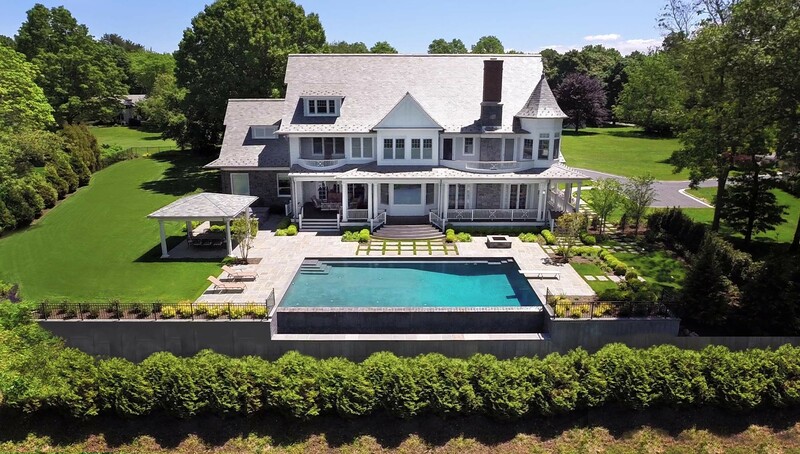 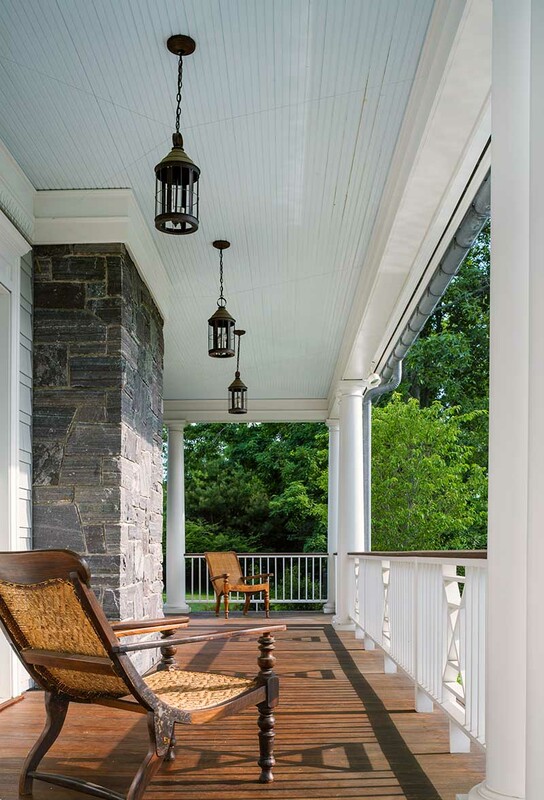 Ornamental shingle work and paneling, slate roofs, and local blue stone paving combined with an archetypal Queen Anne wrap-around porch create a gracious exterior composition. 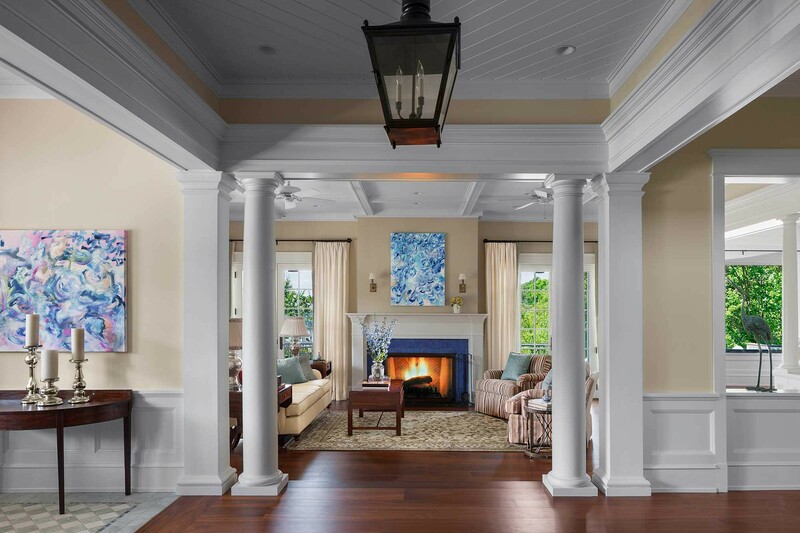 Combining classical interior architectural detailed and the owner’s transitional decorative style, we created living spaces both with contemporary amenities and sensitivity to the classical styling of the home. 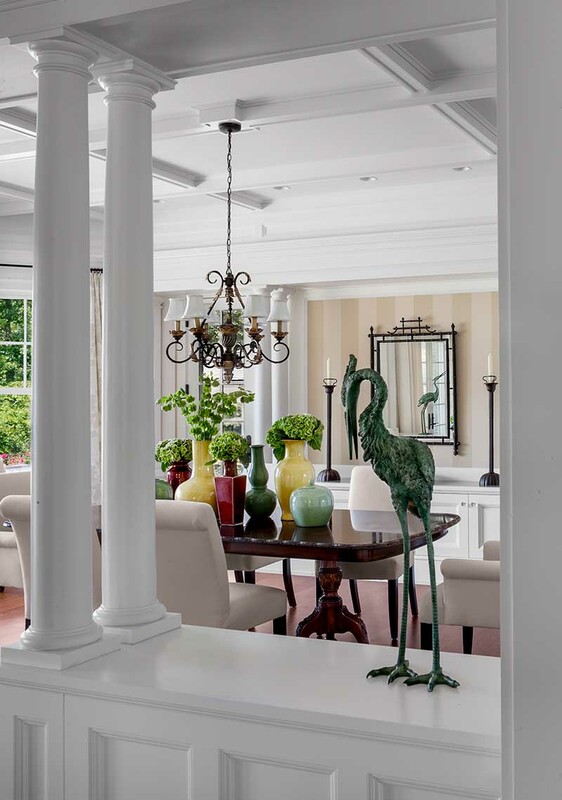 We collaborated with interior designer Greg MacKenzie on the furnishings for this home.